They will represent America in the global finals against Europe and Asia next spring in Hong Kong. 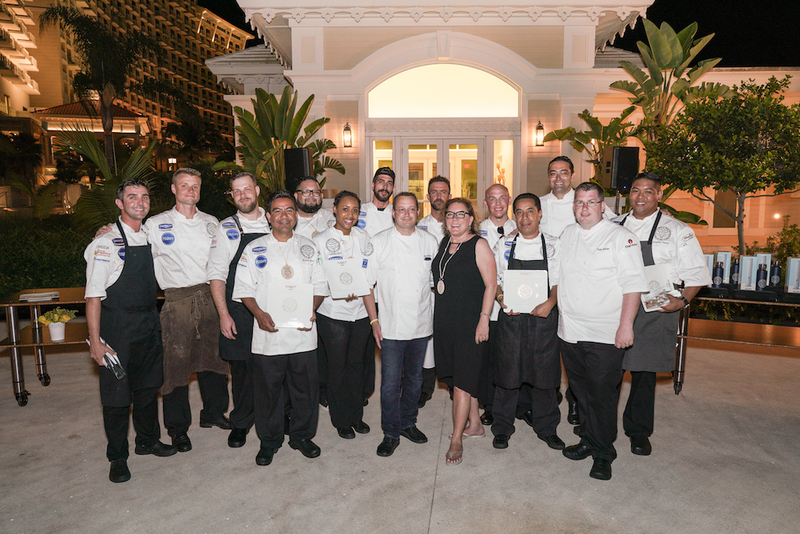 Eleven chefs competed, but only two emerged victorious at the Americas Regional round of the fifth annual Good Taste Series, held at the Grand Hyatt Baha Mar this week. 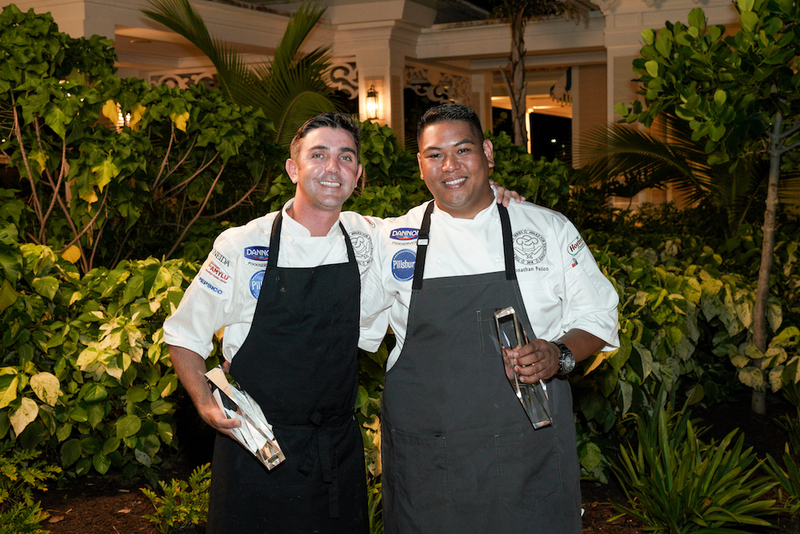 Chef Jonathan Pasion of Andaz Maui and Leo Minelli of Grand Hyatt Baha Mar took home top accolades, bragging rights, and secured spots in the Good Taste Series global finals in Hong Kong next March. "Being part of The Good Taste Series has been an honor as I continue to hone my culinary skills," Pasion says. "Winning this competition is a huge accomplishment, and I am proud to have presented dishes that represent my training and background alongside extremely talented Hyatt competitors whom I’ve learned so much from this week." 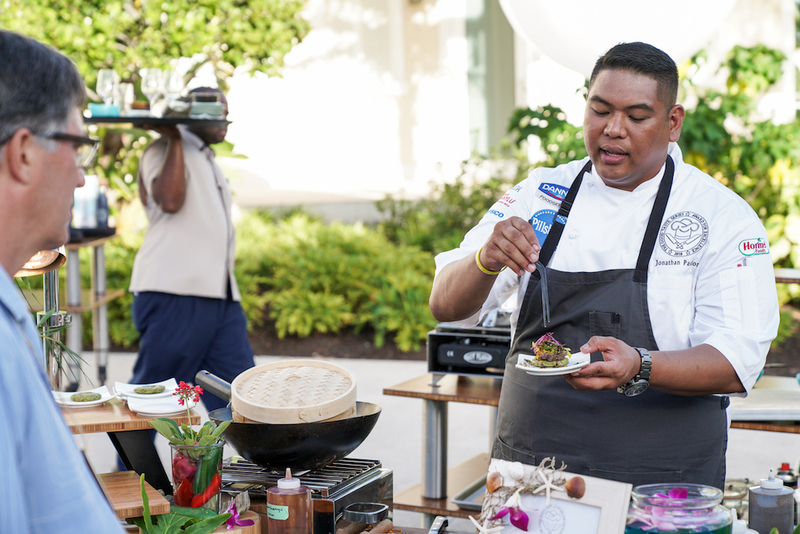 During the competition week, chefs were asked to develop two reception-style dishes incorporating four surprise locally-sourced ingredients: hog snapper, pigeon peas, sugar apples, and squash. For the judging round, held in the Hibiscus Garden at golden hour, Pasion prepared a kaffir hog snapper tataki and nori emulsion, served with sugar apple-coconut gelee, pickled onions, and savory tuile; and a zucchini-pigeon pea bao with sous vide filet served with black pepper gastrique, pickled chayote and a pigeon pea furikake. 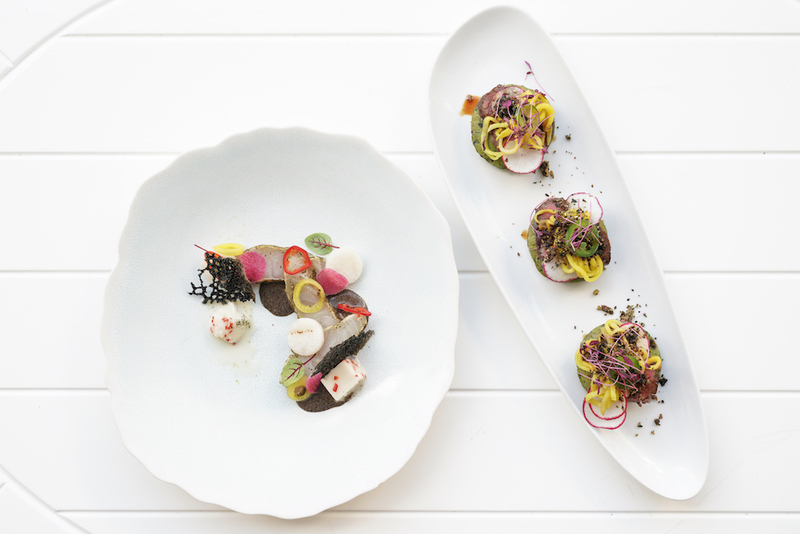 Minelli created two dishes: a cured snapper tartare served with pigeon pea salad, pickled squash, confit egg yolk, sugar apple and fennel foam; and a hog snapper with pigeon pea baba ganoush served with grilled squash, texture of carrots, and tarragon sauce. "I feel very fortunate to have been part of this competition and lucky to work for a company that gives me the freedom to explore my culinary passions," Minelli says. 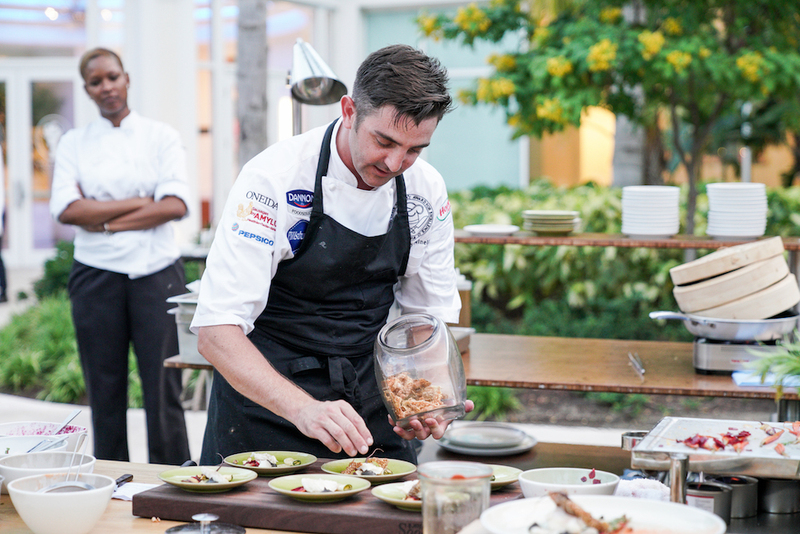 "Cooking alongside my talented Hyatt colleagues has been a great learning experience as well, and I look forward to bringing all that I’ve learned during the competition back to my team and our guests at Grand Hyatt Baha Mar." 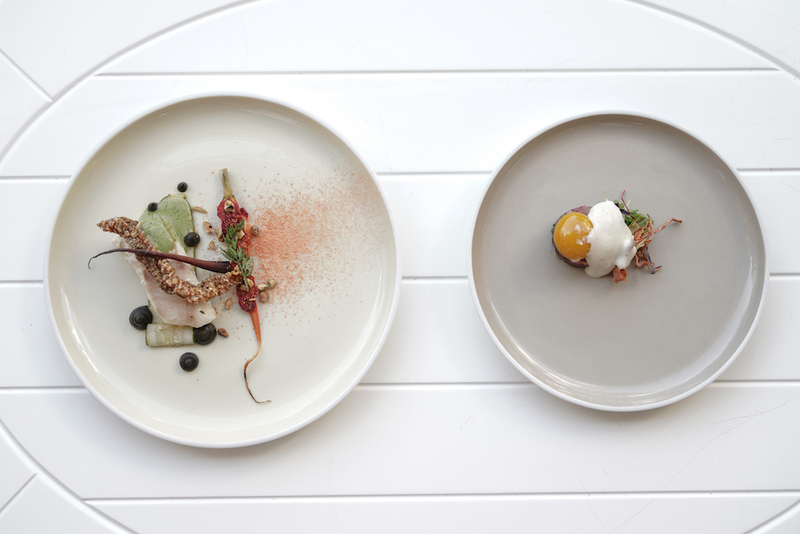 The Good Taste Series pits chefs from Hyatt properties around the world—from brands including (but not limited to) Park Hyatt, Miraval, Grand Hyatt, Hyatt Regency, Hyatt, and Andaz—against each other in a series of regional and continent-wide competitions. At the Americas Regional, the 11 chefs represented properties coast-to-coast, including: Michael Cantin from the Hyatt Regency San Francisco Airport; Alejandro Ceja from the Hyatt Regency Morristown; Bladimir Garcia from the Andaz Mayakoba; Chris Ingmire from The Driskill; Bradley Jones from the Grand Hyatt Atlanta in Buckhead; Nicolaos Kapernaros from the Hyatt Regency Chicago; Michael Lombardo from the Grand Hyatt Denver; Ricardo Sanchez from the Hyatt Regency Scottsdale; Keisha West from the Hyatt Regency Chesapeake Bay. It was a very close call—as one of the judges at this year's Good Taste Series Americas Regional, I, along with co-judges Chef Brother Luck (you may recognize him from Top Chef), James Beard Foundation COO Kristopher Moon, and The Daily Meal contributor Karrie Holland, each sampled 22 creative dishes, all of which were thoughtfully curated and meticulously executed.